Ambitious proposals to kick-start the regeneration of an historic part of Ayr town centre are now moving forward. South Ayrshire Council has approved plans to develop new office accommodation at the Riverside Block, which will act as the first part of the wider development. 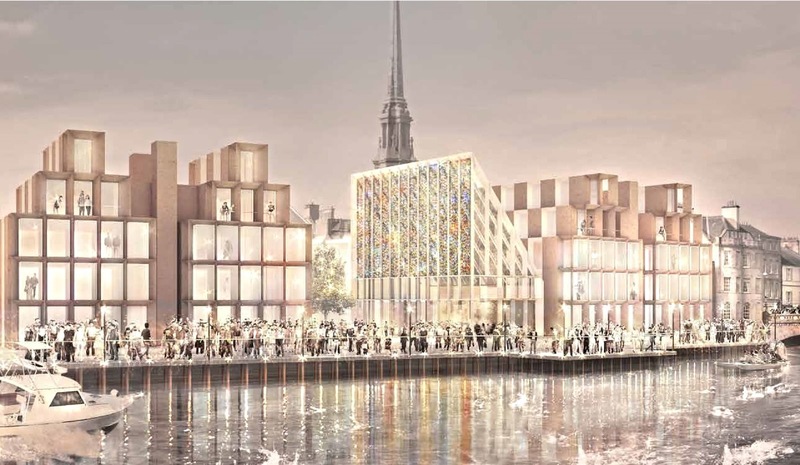 Ayr Renaissance recently submitted a masterplan for a mixed development between High Street and the River Ayr which includes provision for quality office accommodation and housing, as well as for niche retail units, cafes, restaurants and public spaces. The masterplan sets out a commitment to top quality design to an overall scale that respects the surrounding conservation area. The Council is now moving ahead with the design stage for a new modern office development that will eventually house around 350 workers. SWHub will oversee the development work in partnership with the Council and Keppie Architects, appointed to plan and design the offices. 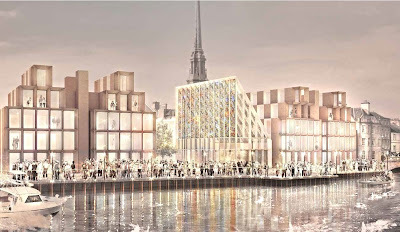 The final design will respond to the requirements of the masterplan and incorporate active space which can be used outside of normal office hours. The new building will replace a number of offices in Ayr which are showing their age and are uneconomic to run. These offices will be sold or demolished on completion of the new office project. Councillor Robin Reid, South Ayrshire Council’s Portfolio Holder for Resources and Performance said it was an exciting time for the development, “This transformational project has now reached a significant milestone, something which has only been made possible thanks to the hard work of Council officers and Ayr Renaissance. “The tenders are also out for the contract to demolish the existing buildings on the site, meaning the momentum around the development is quickly gathering pace. The completed Stage 2 design, which will include a fully developed and costed scheme, is due to be considered by South Ayrshire Council in March 2017.